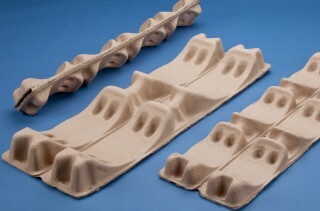 Standard Folding Cradle Style Packaging | Fibreform Containers, Inc. The Standard “C-Line” roll cradles are made in a wider profile for adapting to several different material and weight applications. The added width allows the C-line cradles to hold and protect rolls with a maximum level of care. The cradles are packed and shipped in easy-to-handle bundles and specifically designed to nest snuggly for using minimal storage space.